Mr. Harshil Mathur, CEO & Co-Founder – Razorpay graduated from IIT Roorkee in 2013. 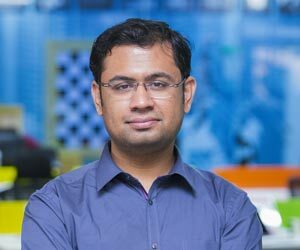 He started Razorpay after discovering the dismal state of online payments in India. He worked at Schlumberger before quitting his job to start Razorpay. By early 2014, Razorpay was conceptualised with a vision to simplify online payments. Razorpay is one of only two India-focused companies to be selected for the prestigious Y Combinator programme which saw Harshil and co-Founder Shashank rub shoulder with some of the Silicon Valley’s biggest VC’s and entrepreneurs. After the three-month programme, founders and CEO’s of some of India’s most famous unicorns invested into Razorpay’s vision of simplifying payments. These include InMobi, Freecharge and Snapdeal founders, along with PunitSoni, Ram Shriram, Justin Kan and a bunch of others.